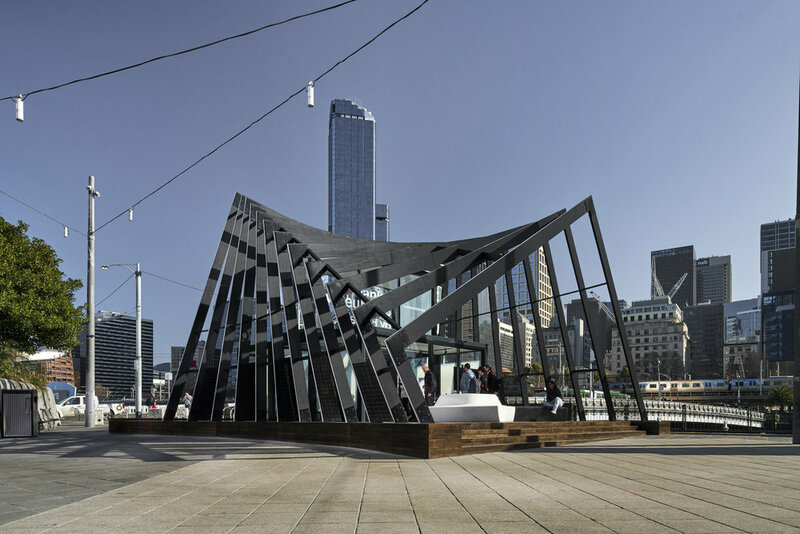 From July 29 – August 10 2018, the Beulah Pavilion was located at Southbank, showcasing the shortlisted entries for Southbank by Beulah. 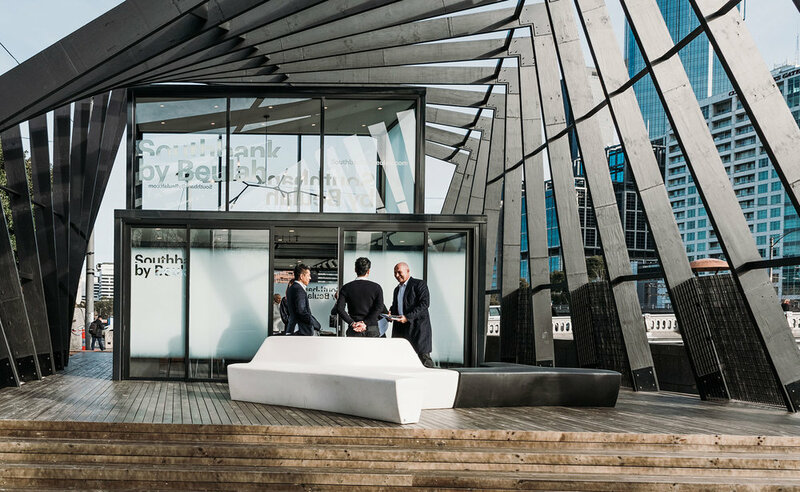 Complete with team models and presentation renders, it was a chance for Melbourne to see the next iteration of communities of the future. 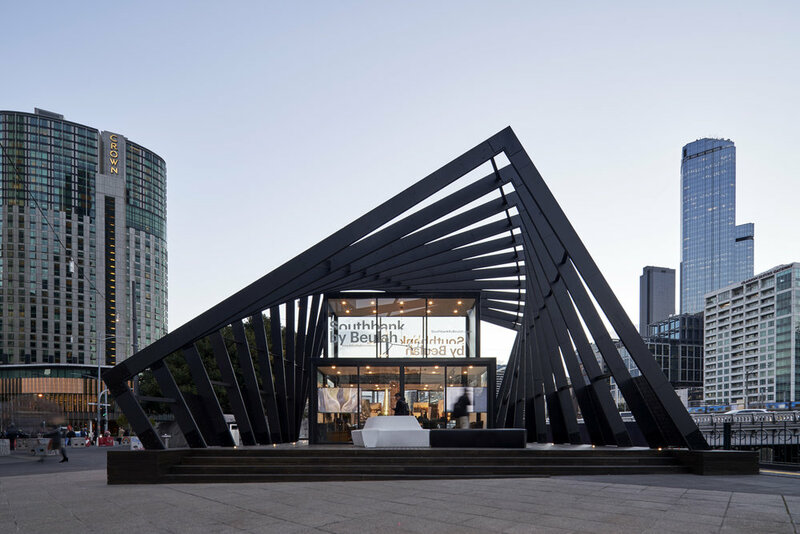 The pop-up pavilion, commissioned by Beulah International, was built as a public art installation, primarily to host the team’s final presentations to the jury. 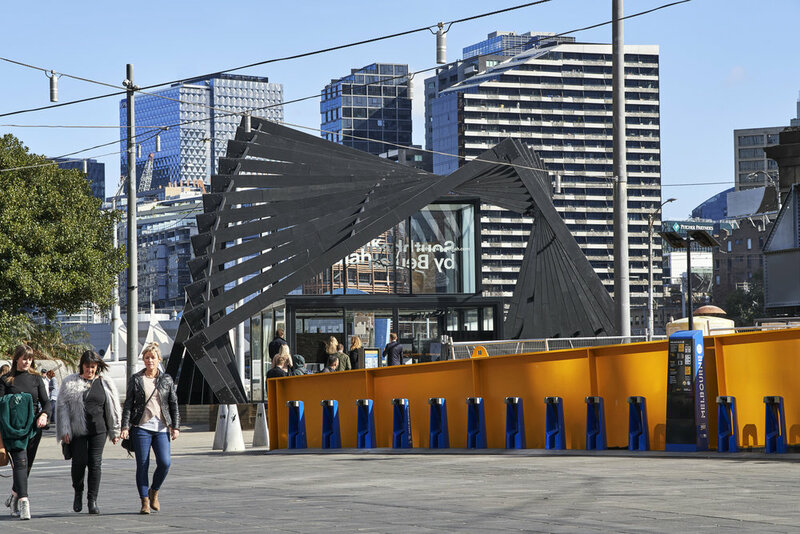 Drawing on an experienced local team of experts, the pavilion was designed by One Design Office and constructed in a rapid 48 hours for the final presentations. 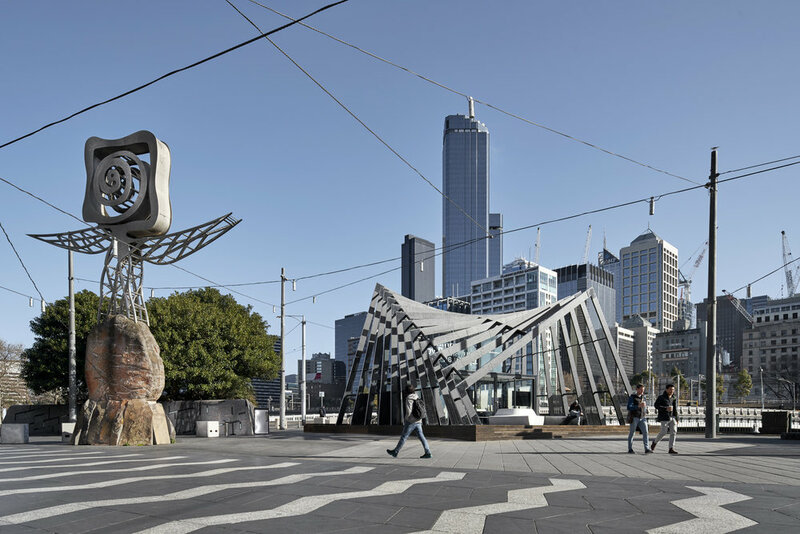 Designed as a commentary on the city, being in a state of constant evolution and change, the pavilion’s concentric frames capture how iterative progress can be seen as a sculptural outcome. 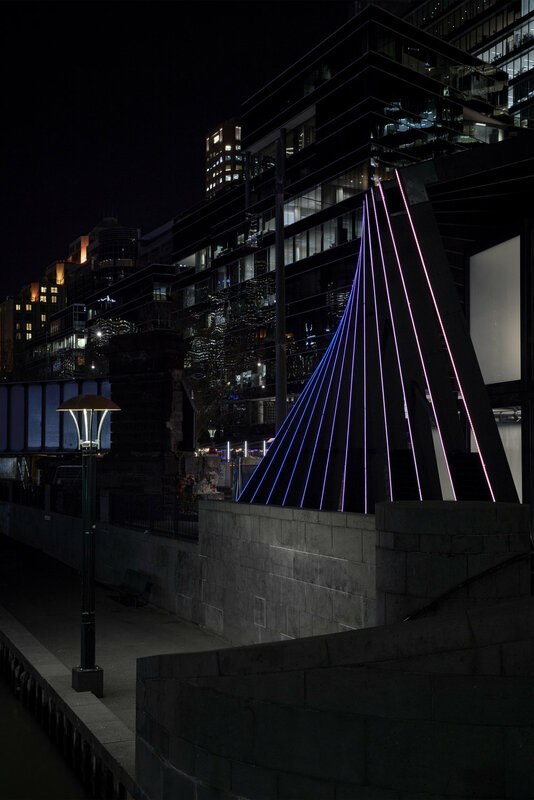 Whirled around a common axis, the frames are lit by programmed lights to further emphasise movement.